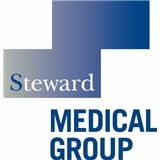 Steward Medical Group - Brookline (Boston) - Book Appointment Online! Steward Health Care System is a community-based accountable care organization and community hospital network with more than 17,000 employees serving more than one million patients annually in more than 150 communities. Each hospital and facility within the Steward family, while part of an extensive network of health care providers, has its own rich history of providing outstanding, compassionate care right in the communities where patients need it most. Love my new OB-GYN! very informative and easy to talk to! Just go in and meet her! She’s awesome. Very approachable and easy to talk to, yet very thorough. Explained the treatment plan in very clear terms. Dr Corrado was very welcoming and kind. She was not judgemental and took he time to answer all of my questions and provide me with different options.